Glad to hear that the legislature was able to fund this much needed study. 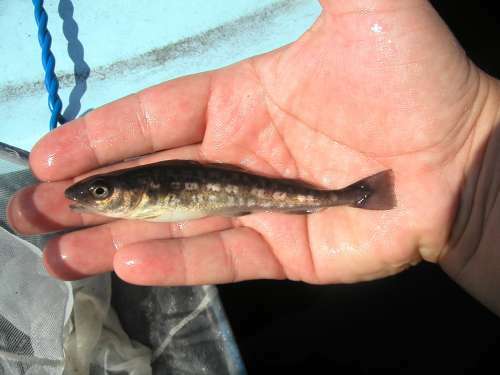 The largest study of Puget Sound’s smallest fish received full funding in the new state budget….the study will take a close look at the sound’s populations of herring, smelt, sand lance and other forage fish that serve as prey for larger predators, including salmon, sea birds and marine mammals. The final budget put $1.9 million toward the study, allowing for both a nearshore survey of spawning grounds and a trawl survey in open water to gauge the survival rate of adult forage fish. Tristan Baurick reports. (Kitsap Sun) Subscription required to read this article. Support your local newspaper, subscribe to the Kitsap Sun. Posted on January 15, 2015 by Al B. And so it begins. I’ll do my best to keep up on this as it goes along. Posted on January 8, 2014 by Al B.
I’ve worked with Naki Stevens in the past, and can attest that she is a great asset to add to any team. This shows that Sound Action is really serious about becoming a major player in doing the hard work to advocate for the Sound. Hard changes have never been accomplished without someone at the table that is not beholden to one or the other political parties. This adds a lobbyist for the Salish Sea, close to the action in the Capital, where it’s needed. Veteran Puget Sound activist Naki Stevens will join the environmental watchdog group Sound Action as a lobbyist this upcoming Washington state legislative session. Stevens, former policy director of the original People For Puget Sound organization, will begin her legislative work on January 17 after leaving her position as Executive Policy Advisor on Puget Sound at the Washington Department of Natural Resources Office of the Commissioner of Public Lands. Sound Action, formerly Preserve Our Islands, is an environmental advocacy watchdog group launched in 2013 dedicated to protecting the health of Puget Sound’s nearshore habitats and species by using sound science, ensuring fair and wise application of the law, and by engaging people in nearshore protection and advocacy. The organization is currently focused on making sure the state hydraulic code provides appropriate protection for nearshore habitats and that important environmental regulations are applied by the Washington Department of Fish and Wildlife during the permitting process. Naki Stevens has also served as Executive Director of Restore America’s Estuaries and as Director of the National Wetlands Campaign for the National Audubon Society. She also worked for the Puget Sound Water Quality Authority in developing the first Puget Sound Water Quality Management Plan. Posted on July 9, 2013 by Al B.
Mike Sato hits it right on the head. It’s time for Govenor Inslee to show us what this bureaucracy is doing, and if he’s really behind it or not. Getting it a leader that can actually lead would be a great start. No one would likely cry for it if they kill it and reconstitute it anew. It’s become a behind the scenes player in Olympia and virtually unknown outside of the Capital. A real shame, frankly. We had high hopes for it, but environmentalism appears to be joke and a pawn in the power politics in Olympia. Use it to garner votes, then ignore it for 2 to 4 years. Maybe when we are down to one Orca they’ll actually get serious. Posted on July 5, 2013 by Al B. This is extremely good news to a start on finding out what kinds of pollution we are breathing and if the new biomass plants are actually doing something that needs cleaning up. That is, if they are built, which seems not a sure thing at this point in time, due to economics, not environmental concerns, unfortunately. The Olympic Clean Air Agency and the University of Washington propose to jointly study air quality in Jefferson and Clallam Counties. This project will evaluate possible air quality changes associated with new biomass co-generation facilities in Port Townsend and Port Angeles and changes in ultra-fine particle concentrations associated with both facilities. The project will support state of the art measurements of ultra-fine particles and will respond directly to concerns of the two communities around health effects and industrial development. Opponents of biomass fueled co-generation are primarily concerned about subsequent environmental damage and the cleanliness of the technology. They claim that burning biomass will endanger forest land by increasing logging operations and argue that slash should be left to decompose on the forest floor. The primary concern regarding biomass fueled power centers on the release of harmful toxins and fine particulate that can negatively impact the health of residents living near the co-generation plants. Specifically, activists are concerned about ultrafine particles –diameters less than 100 nm – that are not detected by standard air monitoring instruments [Keywooda et al., 1999] and to which recent research ascribes significant health impacts [Keywooda et al., 1999; Morawska et al., 2004]. Recently two new biomass cogeneration plants were approved for installation on the Olympic Peninsula, one at Nippon Paper Industries in Port Angeles and the other at Port Townsend Paper Company in Port Townsend. Both mills have been burning woody biomass as waste for several decades. Construction of these co-generation plants requires installation of emission control technology predicted to decrease the total PM2.5 emitted, despite increasing the mass of fuel burned by a factor of three. PM2.5 is the mass concentration of atmospheric particles with diameters less than 2.5 microns. Other gaseous emissions such as Volatile Organic Compounds and NOx will roughly increase by 35 and 18 tons per year respectively. Despite these pollution controls, and maybe because of them, there is concern that although PM2.5 will decrease, the number of ultrafine particles, which may be more hazardous to respiratory and cardio health, will increase. Research has shown that when PM2.5 decreases, co-emitted gases like SO2 and NOx have less surface area on which to condense and are thus more likely to homogeneously nucleate ultrafine particles downwind of the emission site [Weber et al., 1997]. Despite these concerns, there is very little data that show the impact of biomass cogeneration plants on local and regional air quality, including PM2.5 and ultrafine particulate. Port Angeles and Port Townsend are ideal locations to conduct a study focusing on the impacts of biomass fueled cogeneration facilities on air quality downwind of the cogeneration plants. Both towns have similar meteorology and environmental conditions. There are no other large industrial sources or major freeways to obscure ultrafine and fine particulate emissions from the biomass cogeneration plants, although emissions from residential burning in the winter constitute a large fraction of the observed PM2.5 in bothcities. Currently the Olympic Region Clean Air Agency (ORCAA) maintains a permanent air monitoring site for PM2.5 in both Port Angeles and Port Townsend. Data on background concentrations of PM2.5, SO2, NOx, CO, and ozone are also available from Cheeka Peak, an NCore site located west of Port Angeles on the northwestern tip of the peninsula and measuring some of the cleanest air in the country. In addition to the permanent monitors, ORCAA will also install four optical particle counters (OPC) that provide data on the number concentration of particles larger than 0.3 microns at three locations in Port Angeles and at one location in Sequim. The OPCs will operate between January 2013 and December 2013. These monitors will move to Port Townsend in 2014. In both Port Angeles and Port Townsend, one of the OPCs will be collocated with the permanent air monitor, a nephelometer. ORCAA also has two aethalometers that measure black carbon concentration and can be used to differentiate between wood combustion and diesel combustion. One aethalometer will be installed at the permanent monitoring location and the other will be installed along with an OPC at one of the other temporary sites. The existence of these monitoring locations creates an infrastructure that will facilitate a study of ultrafine particles and source types of air pollution in the region. In addition to ambient monitoring that already occurs in Clallam and Jefferson Counties the Olympic Region Clean Air Agency, in collaboration with the University of Washington, proposes to conduct an additional study to examine the concentration, sources, and lifetimes of ultrafine particulate in Port Angeles and Port Townsend. For this project we will establish two master research sites on the Olympic Peninsula. One will be located near residential areas of Port Townsend and the Port Townsend Paper Corp. The second site will be in Port Angeles near to the Nippon Paper Industries facility. At each site we will ideally conduct a series of pre/post-expansion intensive measurements that can complement the existing measurements using nephelometers, optical particle counters, and aethalometers. The Nippon co-generation plant, located in Port Angeles, expects to begin operating in September or October, 2013 and therefore baseline, winter measurements of ultrafine particles before operations commence may not be possible. To work around this issue, meteorology and plume dispersion modeling will allow data to be segregated to times when emissions from Nippon could affect measurements at the site and those times when they would not. How will air quality respond to the change in emissions from the facility? What is the distribution of PM2.5 in residential areas of both communities? Is there evidence of an increase in ultrafine particulate matter from the expanded facilities? What is the cause of the odors in the Port Townsend area and what can be done about these? What are the source contributions to fine and ultrafine particulate in these two areas? How does this change between winter and summer? reasonably modeled by a Gaussian plume distribution? How do ultrafine particulate emissions from the facilities change in the winter relative to the summer? Measurements of PM2.5, number concentration and size distribution of ultrafine particles (diameter < 100 nanometers), particle chemical speciation, and carbon monoxide will be made at both the Port Angeles and the Port Townsend sites. Continuous stack emission measurements at the facilities will complement the ambient measurements to determine their potential influence on the ambient air quality.